A little something for mommy and something for baby. I've found both of these and LOVE them!! Click the picture to find the listing. From Born2beewild (great name, huh?!) there is this adorably cute punk tee. 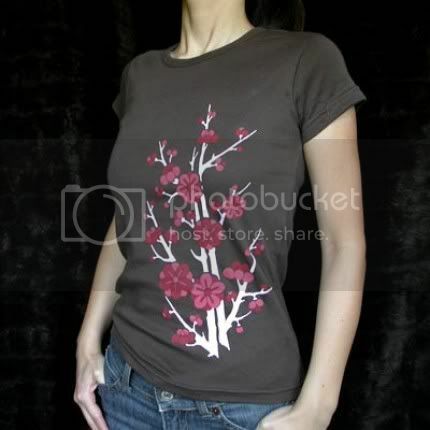 And for Me, I LOOOVE this Japanese Cherry Blossom Tee by ahpeele. 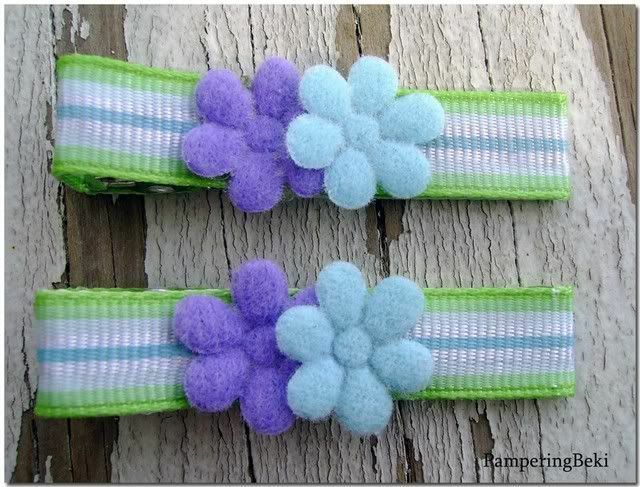 And for baby... not tea (or tee) related, but still darn cute, PamperingBeki (that would be me ;-)) has these clippies listed. This monkey loves the t-shirt. Swinging in for the Ultimate Blog Party. Nice to meet ya. I will be starting my 3rd party favor give away later tonight. Come on over when ya get a chance.